• A TBS Membership is the Perfect Holiday Gift! 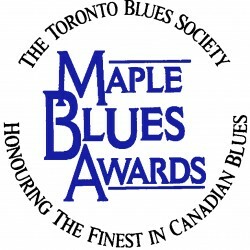 The Maple Blues Awards will take place on Monday January 17th, 2011 at Koerner Hall. The award show recognizes the best national blues musicians who have made an impact over the last year. 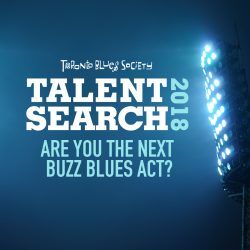 Toronto actor and bluesman Raoul Bhaneja is set to host the Maple Blues Awards Gala night as Emcee! There will be performances by Tom Lavin (Powder Blues), Jack De Keyzer, Shakura S’Aida, Dawn Tyler Watson, Matt Andersen in addition to the house band, The Maple Blues Band. Tickets are onsale now at the Koerner Hall box office: https://tickets.rcmusic.ca/public/hall.asp or (416)408-0208. TBS members can retrieve the member exclusive discount code by contacting the TBS office. The Blues Summit Five will take place at the Delta Chelsea Hotel on January 15-17, 2011. The keynote speaker this year is Washington, DC’s XM Radio Broadcaster Bill Wax. Showcasing artists are The 24th Street Wailers, catl. Johnny Max, Rick Taylor, Kat Danser, Dylan Wickens, Terry Gillespie, Layla Zoe, Philippe Lafreniere, Richard Henderson, Aaron Griggs, Robin Banks, Al Wood & The Woodsmen, Alfie Smith, Michael Jerome Browne and Angel Forrest. 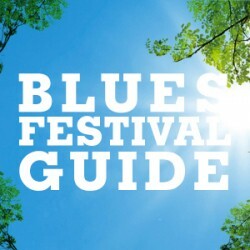 Delegates will be made up of festival directors and blues delegates from Canada and around the world. Delegate passes are on sale now, and can be purchased through www.ticketpro.ca or 416-645-9090/1-888-655-9090. For member/musician discounts, please contact the office. A discount code for the Maple Blues Awards will be issued with purchase of each delegate pass. Have a bluesy Christmas at Hugh’s Room on December 20 & 21. Both nights feature David Rotundo (pictured), Julian Fauth, Danny Marks, Paul Reddick, Dawn Tyler Watson, Paul Deslauriers at Hugh’s Room. Both nights begin at 8pm. A TBS Membership is the Perfect Holiday Gift!